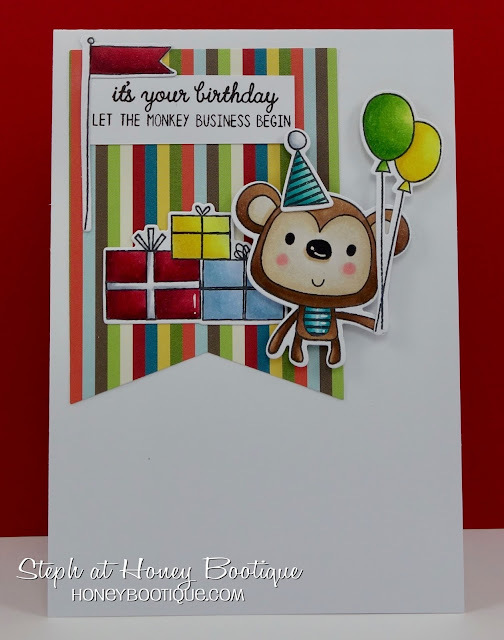 Honey Bootique: Reverse Confetti- Monkey Business! Such a fun set to use! I coloured with copics and added some highlights with white gel pen. I cut out the images using the matching dies. I cut out a large banner using the MFT die and stamped one of the accompanying sentiments on a piece of white cardstock. Finally I assembled all the pieces, adding some 3d foam pads to the monkey, his hat and balloons. Close up! 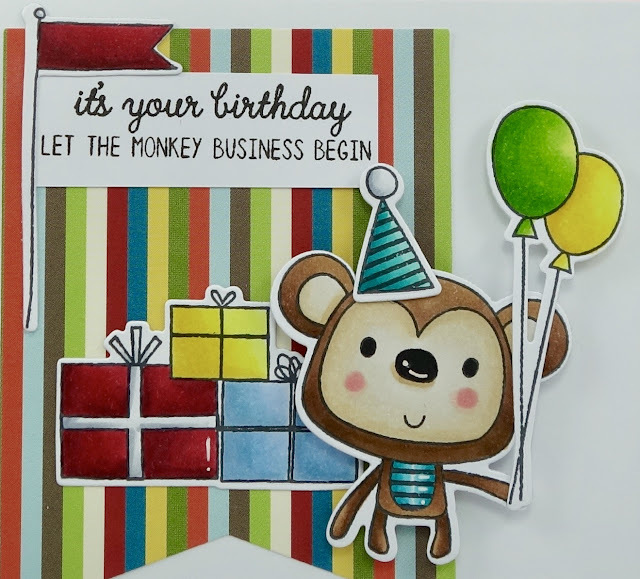 He's so cute- fab for boy's birthday cards.